"A person with dementia may not remember the day, but they can enjoy the moment." Caring about Dementia: Series introduction. 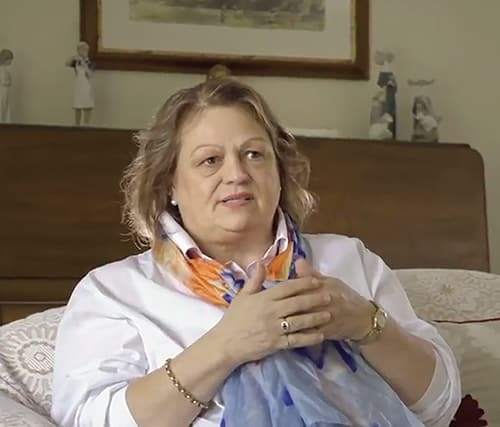 HealthWISE New England North West and Newcastle Permanent Charitable Foundation have teamed up to bring you a series of videos with ideas for caring for a person living with dementia. Please enjoy the introduction video. Caring about Dementia: Communication. We chat to Sally (Dementia Carer Consultant) who provides suggestions about communicating with the person living with dementia. Caring about Dementia: Carers Morning Tea, Episode 1. Sally and Cate share morning tea with a group of carers discussing their journey through diagnosis and stages of caring for a person living with dementia. Caring about Dementia: Distraction and Redirection. We chat to Sally (Dementia Carer Consultant) who provides suggestions about communicating with the person living with dementia. Caring about Dementia: Geriatrician Professor Susan Kurrle. We chat with Professor Sue Kurrle about a range of topics including exercise, driving, confusion, pain management, sleep, weight loss, wandering and visual problems. Caring about Dementia: Self Care for Carers. Sally (Dementia Carer Consultant) talks about the importance of self care for carers. Caring about Dementia: Personal care. In this video, Sally (Dementia Carer Consultant) is talking about personal care issues, that may arise with the person living with dementia. Caring about Dementia: Carers Morning Tea, episode 2. Over morning tea, we chat with a group of carers about stepping into the world of a person living with dementia. Caring about Dementia: Carers Morning Tea, Episode 3. Our carers chat about many topics including, how they look after their physical and mental wellbeing, the importance of respite and transitioning into residential care. Caring about Dementia: Driving. Sally (Dementia Carer Consultant) discusses issues relating to driving after a diagnosis of dementia. Caring about Dementia:Bits and Bobs. Sally (Dementia Carer Consultant) chats about a variety of topics, not necessarily covered in the other videos in this Caring about Dementia series. The Memory Assessment Program and Support Services (MAP) provides early assessment and diagnosis for people with mild to moderate cognitive impairment, and an integrated and multi-disciplinary care model to support patients and carers from diagnosis of dementia through the progression of the disease. The program links GPs and their patients with dementia specialised medical, neuropsychological and dementia support services. Additionally, the comprehensive patient assessment and report provided by the MAP Program Manager supports the Geriatrician and reduces the number of specialist appointments required by the patient. The MAP program is offered in Armidale, Ashford, Emmaville, Guyra, Glen Innes, Inverell, Tenterfield, Uralla and Walcha, and surrounding areas. For further information, please contact Cate Doyle (Healthy Ageing Clinician) at the Armidale office on 02 6771 1146. Sally provides advice and support for carers of people living with dementia. Sally has many years of experience working with both carers and people living with dementia. If you are concerned about a family member or yourself, about changes in memory or reduced abilities with day-to-day activities that are impacting on quality of life, Sally can provide advice. Sally is available to see people in Armidale or can offer phone support to people in the Northern Tablelands region. No formal referral is required.